The Gulf of Maine Times, a project of the Gulf of Maine Council’s Outreach Committee, is made possible through support of the Gulf of Maine Council on the Marine Environment and the National Oceanic and Atmospheric Administration. The views expressed herein are those of the author(s) and do not necessarily reflect the views of NOAA or any of its sub-agencies, the Gulf of Maine Council on the Marine Environment, or other sponsors. 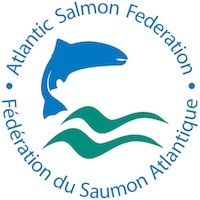 The Gulf of Maine Council on the Marine Environment was established in 1989 by the governments of Nova Scotia, New Brunswick, Maine, New Hampshire and Massachusetts to foster cooperative actions within the Gulf watershed. Its mission is to maintain and enhance environmental quality in the Gulf of Maine to allow for sustainable resource use by existing and future generations. For subscription information visit our subscription page or to change your subscription, please use People Finder. Material may be reproduced with written permission of the Gulf of Maine Times. The Gulf of Maine Times welcomes and values comments and suggestions from our community of readers.